Having just completed its fifteenth year celebration of design, the London Design Festival’s highly ambitious event puts London squarely on the map as a design capital of the world. The festival was spread across a number of major London venues and offered over 450 projects and events, giving Londoners and visitors alike an amazing opportunity to experience innovative and exciting design. With such a huge selection it was difficult to make a final choice, but we were particularly impressed with the talents of a number of individual companies, many of whom had a strong commitment to sustainability and the environment, alongside traditional, timeless design and production processes. 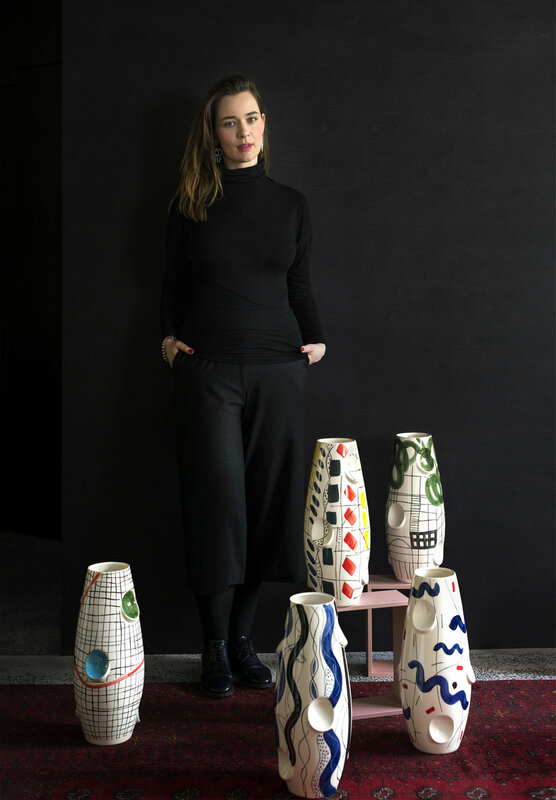 Malwina Konopacka's limited edition hand painted ceramic vases often pay homage to her favourite artists such as Henri Rousseau for her 'Jungle' range. 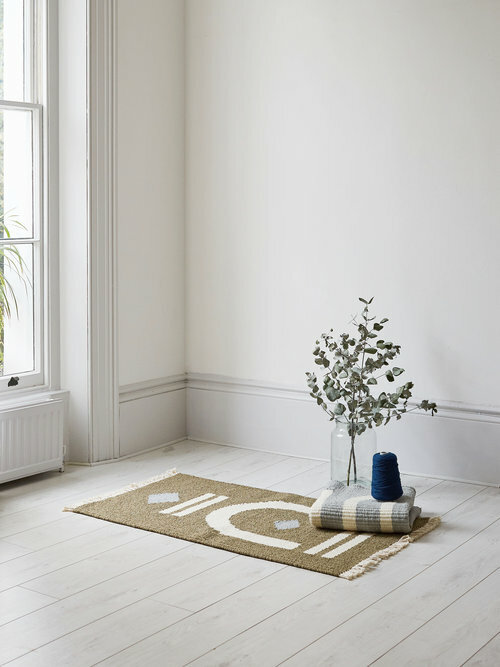 Floorstory make beautiful rugs with an eye on craft and design. Alongside their own range they also work with like minded designers and can be found in their new retail outlet in Shoreditch. 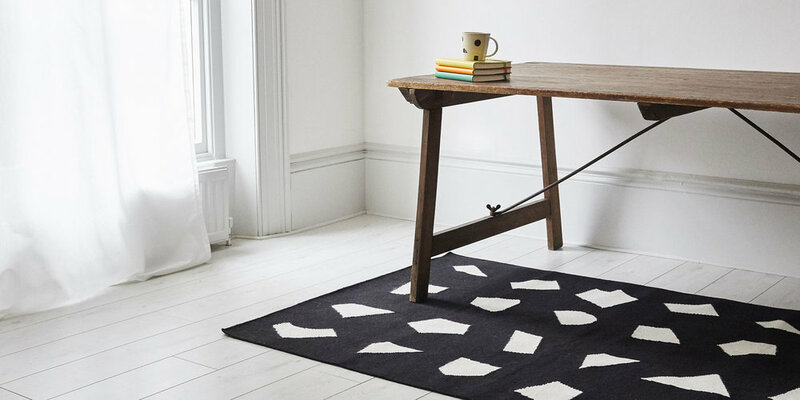 Stoff Studios are a design duo who combine their love of textiles and furniture design. They are based in a Victorian warehouse in London’s Bermondsey. They use traditional methods of production with a very collaborative approach to produce their unique pieces. Cumulo was founded by Margate based designer Jo Elbourne, she currently sources vintage seat frames, wall-based pieces and found objects, up-cycling and reworking them using traditional woven seating with her own distinctive take. Forest and Found are Abigail Booth and Max Bainbridge, who met as students at Chelsea College of Art. 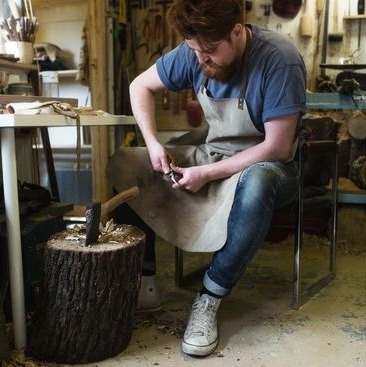 Working in visual art and contemporary craft they decided to set up their studio Forest and Found together in the East End of London in 2014. Miss Print is a talented mother and daughter design team based in Essex They share a strong sense of commitment to the community and use non toxic inks and pigments in their production process. 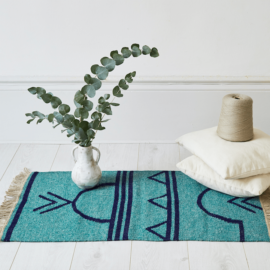 Christabel Balfour is an artist and weaver living and working in South East London, her work seeks to balance simplicity, detail, and organic form and the variations of the handmade. 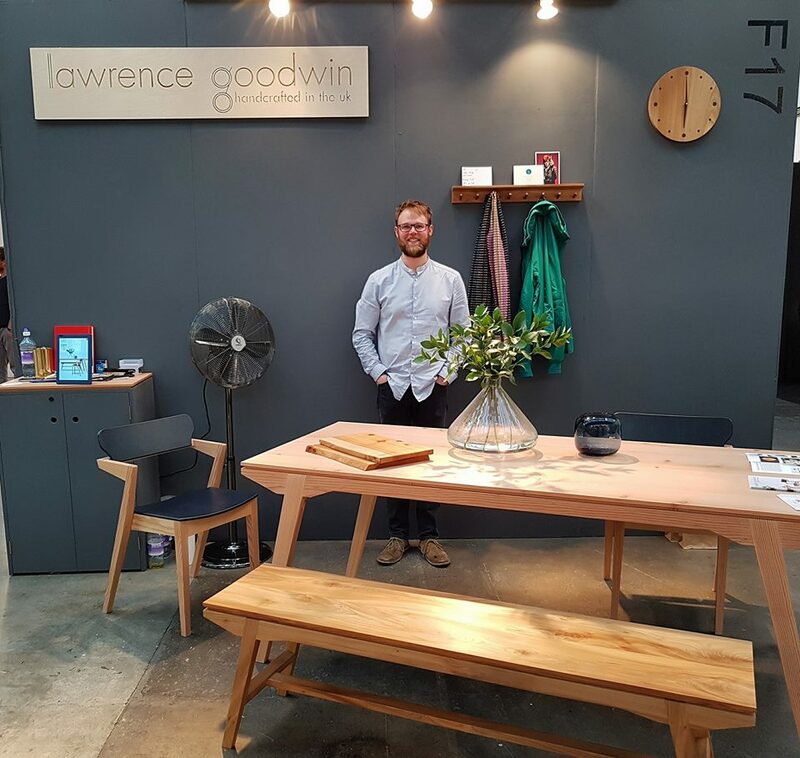 Based in Buckinghamshire, Lawrence Goodwin is a designer-maker who produces functional and stylish furniture that is tailor-made for today's living. Both contemporary and timeless in design, each product highlights the importance of empathising with British sourced materials whilst demonstrating innovative design. 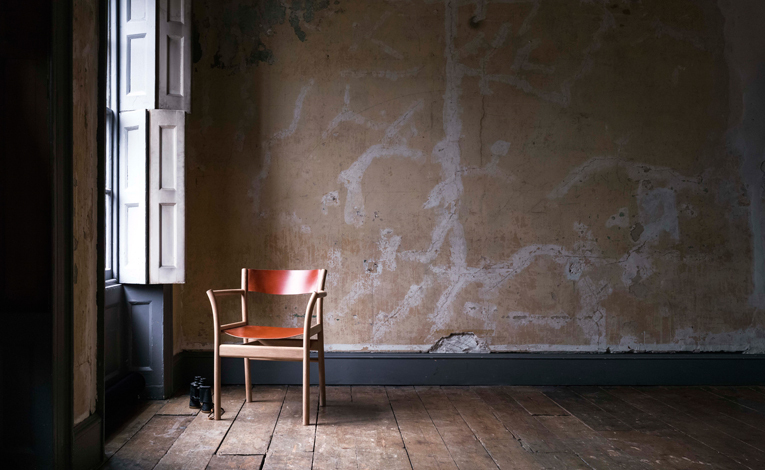 With a strong ethos based on craftsmanship and bespoke design, Namon Gaston set up his Edinburgh studio in 2005. 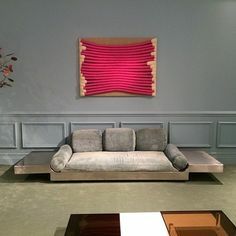 Gaston merges the disciplines of design and craftsmanship to produce timeless, elegant pieces both in his collection and in commissioned work. 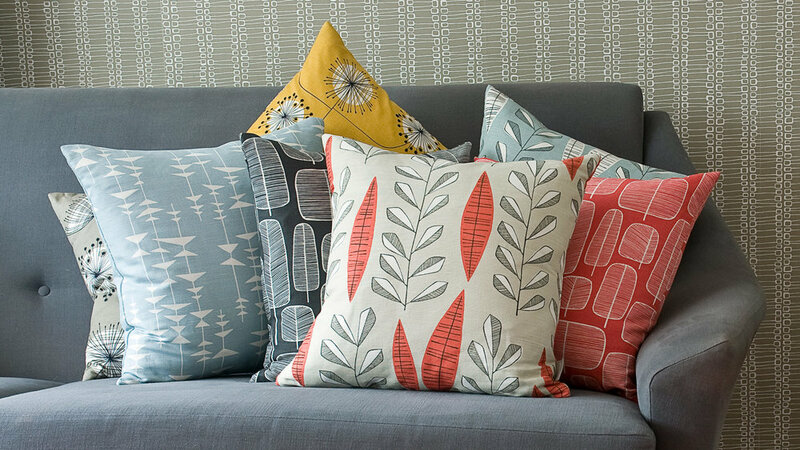 Originally trained as a fine artist, Louise Body now produces wallpaper designs from her studio in St Leonards On-Sea. We were particularly impressed with her bespoke hand finished wallpapers and murals, utilising a choice of stencil, gold leaf and hand painting, which can be supplied in numbered panels making them simple to install. Catherine MacGruer graduated from The Glasgow School of Art and opened her own studio in the Highlands of Scotland in 2015. 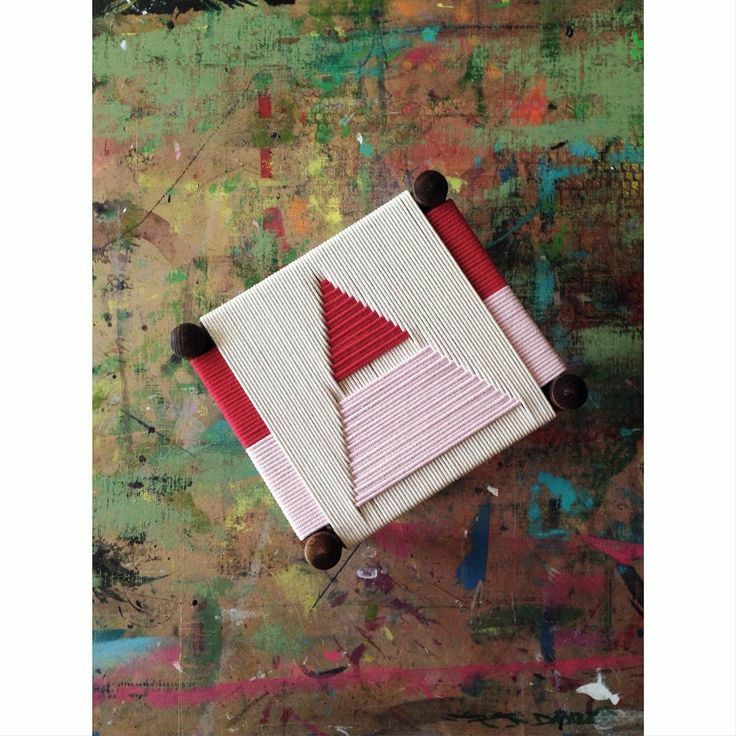 Her work includes textile design, commissions and collaborative projects, as well as her own range. 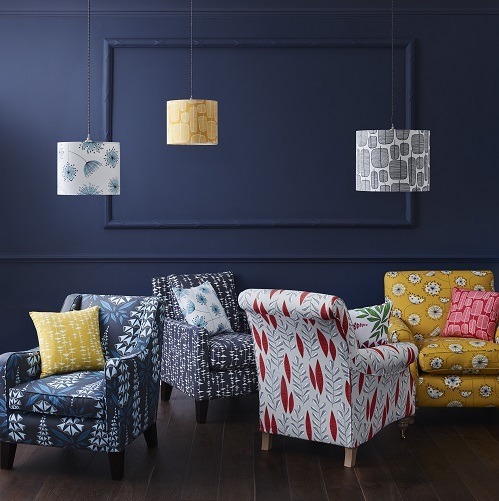 Combined with the highest quality materials, her textiles are made to be treasured, and we particularly fell in love with these bold geometric designs from her current range.